First Lexus twin turbo V6 competes with engines from Audi, Mercedes & BMW, and it always seems to come out on top. No surprise there! Jalopnik recently got ahold of a 2018 Lexus LS 500 with the new twin turbocharged 3.5-liter V6 and spent a few hours driving it to Lime Rock Park to check out the WeatherTech SportsCar Championship race. While Jalopnik writer Mack Hogan raves about the comfort of the range-topping sedan from Toyota’s luxury brand, it was the new drivetrain that proved to be the most noteworthy aspect of the newest flagship machine. The review from Jalopnik explains that Lexus provided Hogan a 2018 LS 500 to drive to the WeatherTech series race. The reviewer likes the modern Lexus lineup, but he finds their aging lineup of engines to be a bit short of the competition. 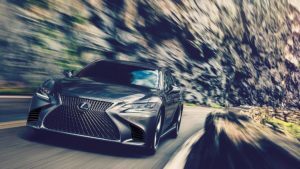 Fortunately, the LS 500 has a new twin turbo V6 that packs far more power than the previous V8, making the new range-topping Lexus a whole lot more powerful. Not surprisingly, Hogan found the interior to be as plush and comfortable as expected, but he was taken aback by the new engine, going so far as to compare it to similar power plants from the German luxury brand. 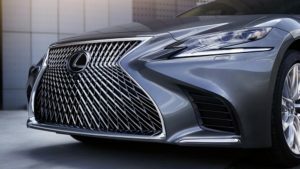 The 2018 Lexus LS 500 is the first car of the LS line to feature a twin turbocharged V6 engine. 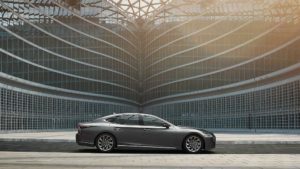 During the previous generation, the top-of-the-line LS 460 was powered by a pretty good 4.6-liter V8 that offered 386 horsepower and 367 lb-ft of torque. That engine made the big Lexus a solid driver, but with so many luxury cars packing power well north of 400 horsepower, Toyota’s premium brand needed more. That “more” comes in the form of a new 3.5-liter, twin turbocharged V6 that delivers 416 horsepower and 442 lb-ft of torque. The 30-horsepower gain makes a big difference, but the jump of 75 lb-ft of torque is the real story here. This new engine is mated to an also-new 10-speed automatic transmission that quickly shifts to the gear necessary to keep the boosted V6 in the heart of the powerband, where torque levels are at their highest. As Jalopnik points out, this transmission allows the engine to cruise quietly at low engine speeds, helping to yield better fuel economy figures, while the quick-revving engine and quick-shifting transmission will allow the driver to use all of the available power with the kick of the throttle. 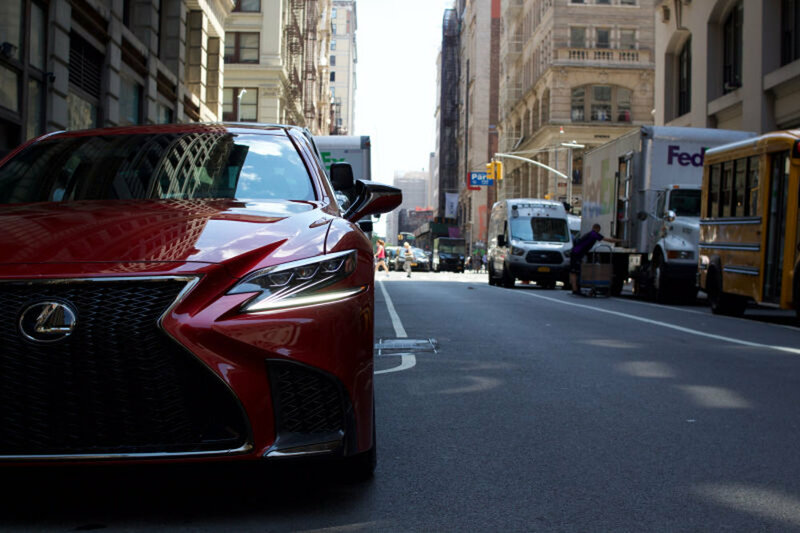 “Powerful when you need it, quiet when you want it, and smooth always,” says Jalopnik in summing up the best aspects of the 2018 Lexus LS 500. 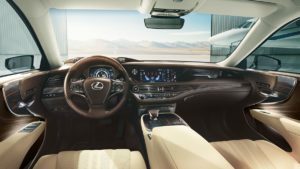 In other words, the move from the 4.6-liter V8 in the 2017 Lexus LS 460 to the twin turbocharged 3.5-liter V6 in the LS 500 has proven to be a very smart decision that makes for an all-around better luxury sedan. With this new engine, Lexus has a proper competitor for the other big sedans from Mercedes-Benz and BMW. How to lighten Steering effort?